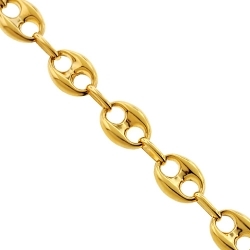 Reach for fashion gold with our magnificent hollow mariner chain! 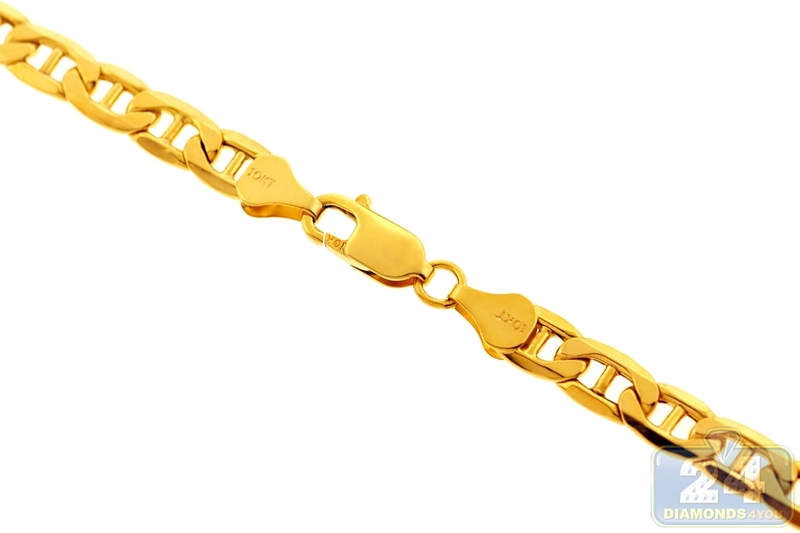 Professionally created from Italian 10 karat yellow gold, it is highly polished for smooth finish and bright shine. 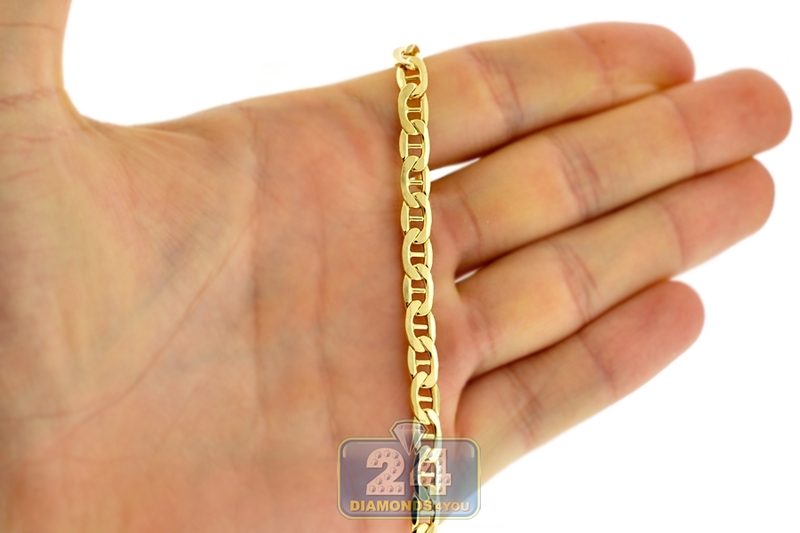 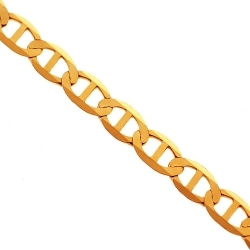 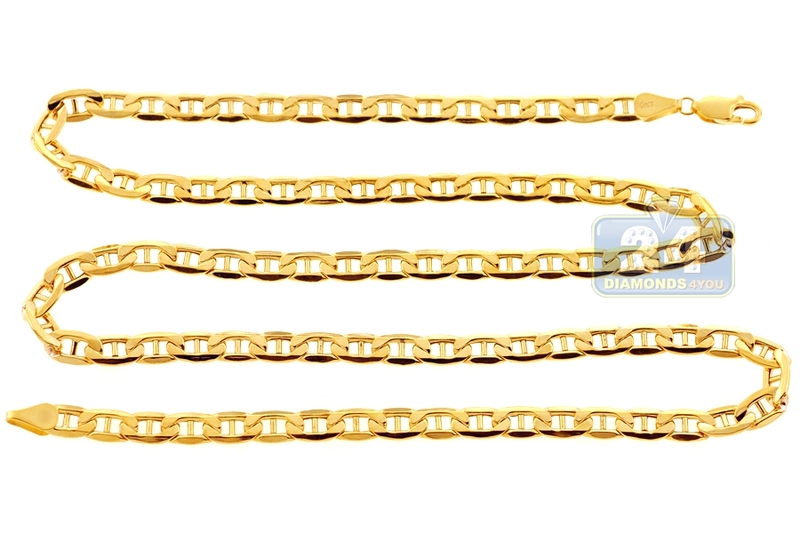 The 10k yellow gold chain features 5.5 mm in width, and is available in 24, 26, 28, 30 or 32 inches. 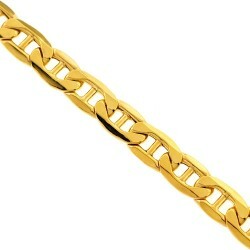 It also has the safest lobster claw clasp. Wear this men's gold chain as is, or layered with favorite chains!